Strand Woven Bamboo Flooring is perfect for homeowners who crave a rustic aesthetic without sacrificing elegance. 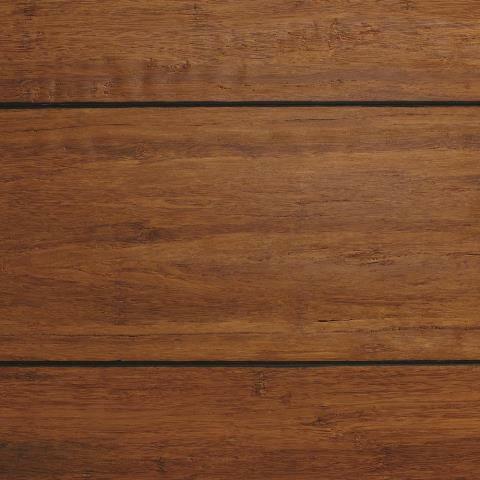 Offered in a "drop and click" style, this bamboo flooring features a distressed dark honey finish to complement any space. 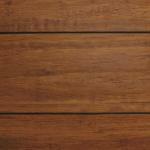 It boasts a Janka rating of 4000, more than three and a half times harder than Red Oak. The durable 11-layer polyurethane/aluminum oxide finish offers a high scratch resistance while maintaining a beautiful appearance. The higher stability and unique construction of Strand Woven Bamboo allows for glue down or floating installation over multiple subfloors on, below or above grade. An existing home should have a consistent room temperature of 65F - 75F and relative humidity (RH) of 40% - 55%. Continual deviation from these conditions will affect the dimensions of flooring (see installation guide for more details). 21.86 sq. ft. per case and case weight: 47.30 lbs.